Master of ceremony Jason Kontos and the lovely ladies at New York Spaces Magazine unveiled their list of “Top 50” of designers last night at the glittery mosaic tile wonderland that is Sicis in Soho. 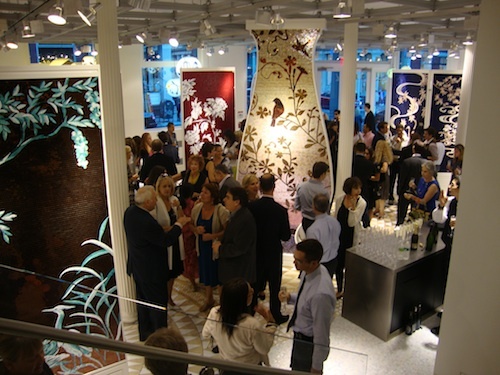 Honoring a blend of the old guard along with budding stars for the third year in a row, the Top 50 has become a definitive list of who’s who in the New York City design scene. New York Spaces editor Annmarie Marano spent much of the night tracking down the guests of honor in the bustling space. Read her post here to see who she found.